Iris enjoyed her 72 years of life with her family and friends. It is with great sadness we share our mother passed away peacefully with her children at her side surrounded by love and warmth at Peace Arch Hospital in White Rock on April 5th, 2019. 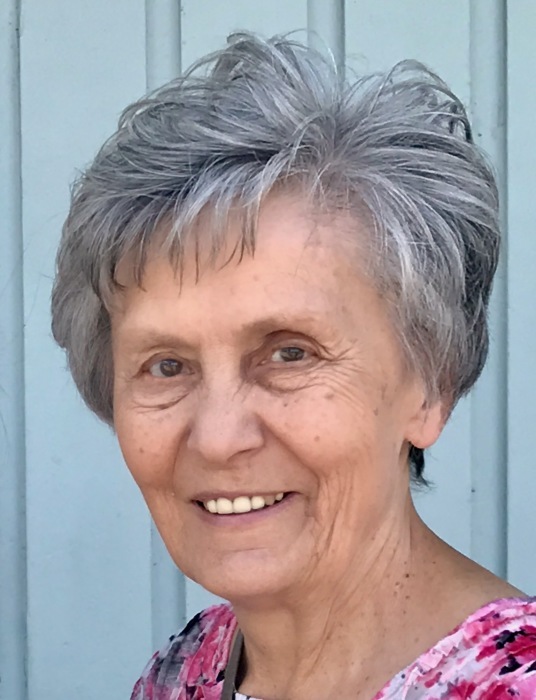 Born in 1946 into the Hladun farming family from Canora, Saskatchewan she exemplified the true and honest lessons from her farming roots. Always hardworking, family centred and appreciative of the bounty the earth provides. She loved her family and especially her two children Stacey Boyda, husband Jeff Norris and Kelly Boyda, wife Corinne Boyda. She also loved dearly her four grandchildren Emma and Lily Norris and Sienna and Matthew Boyda. She is survived by her sister Lyn Pinder as well as all her nieces, nephew and extended family. She is now reunited with the enduring love of her life, husband Robert, and her parents Peter and Lucy Hladun. For eleven years she worked for SaskTel starting in 1965. In 1968 she married Robert Boyda and enjoyed travelling throughout the world with her husband before settling down to start a family in Yorkton, Saskatchewan. She poured all her love into her children and family. She was a nurturing mother to her children and a compassionate care giver to her parents as they aged. Her most joyful moments were those spent with her children and grandchildren sharing the traditions of Ukrainian food and culture. Her passion throughout her life was being in nature and her flower garden was her sanctuary that, like her family, ensconced her in beauty of her own creation. Iris was a deeply religious person who took comfort in the teachings of our Lord Jesus Christ and the Ukrainian Orthodox faith and cherished the relationships she formed with her fellow parishioners at the Church of Holy Transfiguration. We wish to extend our heartfelt gratitude to the staff and caregivers at Peace Arch Hospital who cared tenderly for her in her final days. Iris was an adored Daughter, Sister, Mother, Baba, Aunt and friend and she will be deeply missed and remembered by all who loved her. Prayers for Iris will be Friday, April 12, 2019 at 7 pm from Holy Transfiguration Orthodox Church. A funeral service will be held on Saturday April 13, 2019 at 10 am from Holy Transfiguration Orthodox Church. In lieu of flowers for the family, please plant her favorite flowers, Geraniums, Marigolds and Irises in your garden and think of our Mom when they bloom.